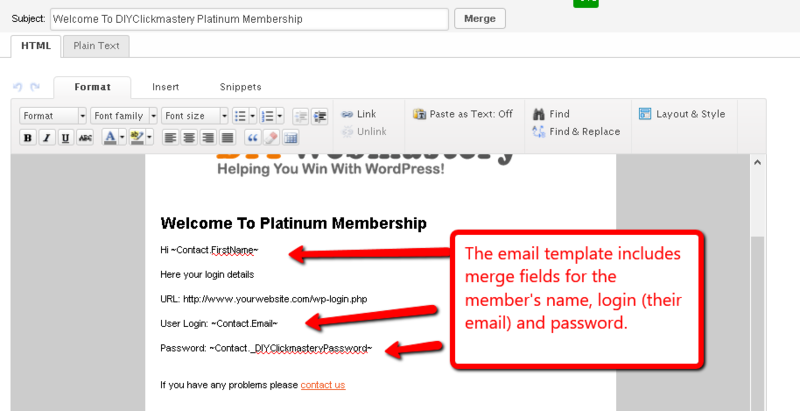 When the new member makes a purchase then Infusionsoft can trigger a campaign sequence that creates the new member login on the iMember360 membership site using their contact details (name and email). This is achieved by adding a HTTP Post action to the campaign sequence that is activated on a purchase. 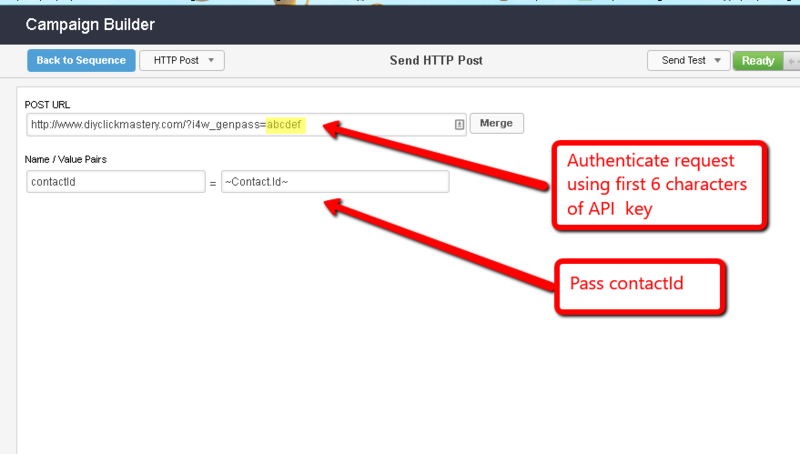 The HTTP Post, http://www.yoursite.com/?i4w_genpass=abcdef where abcdef stands for the first six characters of your Infusionsoft API key. This information is used to authenticate the request. Also passed is the contact ID of the new member. The final step in the automatic campaign sequence is to send the member a welcome email with the site URL, user login and password.